I’d say, in your defense , that a lot of really bad arguments for evolution have been advanced. Nested clades, because it is often advanced as if there are no homoplasies. There are homoplasies, and they are predicted by evolutionary science too. We do not expect, from an evolutionary point of view, for nested clades in nature to be perfect nested clades. In this, Walter ReMine was correct . I don’t doubt that you are correct that others think that nested clades is strong evidence, but often the precise way that argument is advanced is actually in scientific error, even before an anti-common descent rebuttal arrives on the scene. 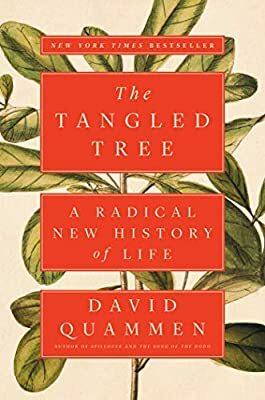 David Quammen argues another perspective on genetic inheritance.